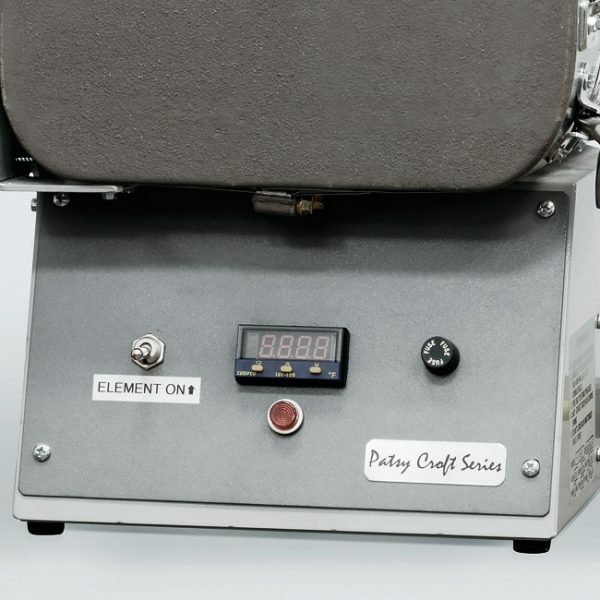 Patsy Croft Digital Kiln Model #55F-TE Digital – Digital set point controller. Superior fusion kiln made by Patsy Croft for jewelry, enamels and high karat metal fusion. 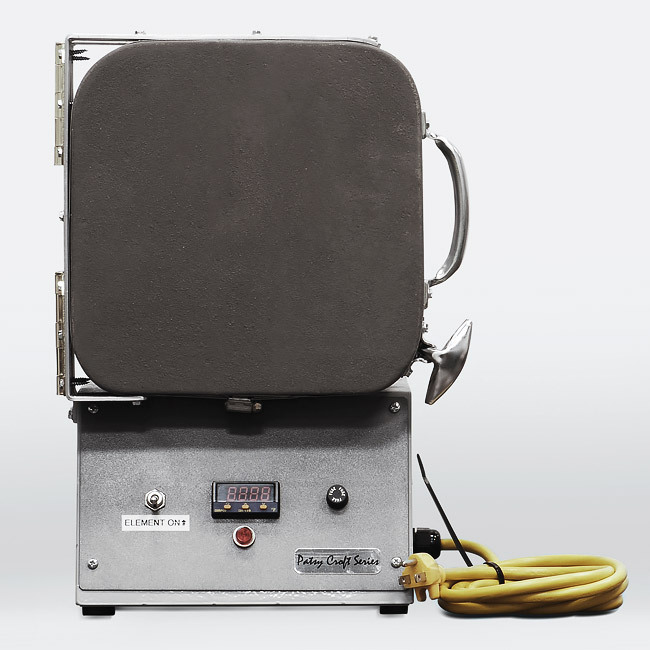 This Enameling and Fusion Kiln is Built with a Digital Set Point Controller. Select your desired temperature with simple up and down arrows for an increase or decrease in temperature, and within 10 minutes you are ready to enamel or start fusing high karat metals of your choice. It maintains the temperature perfectly! • Front-mounted instruments for easy viewing. Best kilns for home use. They are small and portable. Easy to store. My kilns are handcrafted and designed for use in all jewelry making mediums. This kiln will help you create breathtaking jewelry or small keepsakes. 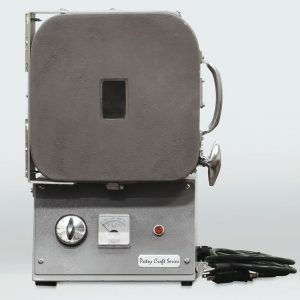 Remember as you dream of your main piece of equipment to create your treasures, all my digital fusing kilns are hand made at the time of order. This means any customization is possible! Contact me today! patsy@croftkilns.com and start creating. 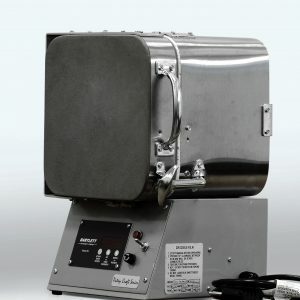 This digital kiln is my best seller. Yes and we all know why. We live in a digital world and a digital kiln controller takes less attention. Now, this leads us to another wonderful feature! Fusion of precious metals. 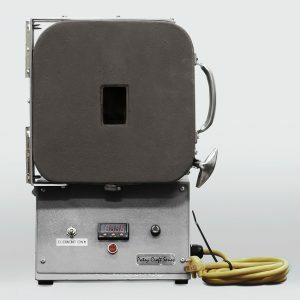 If you are interested in fusing metals you defiantly need a reliable kiln. Why? because when you have invested your time to create a jewel when you have invested the money for precious metals, you want to know you can rely on a set temperature. The temperature you have researched and tested that allows your choice of metal to reach its surface melting point allowing the parts to fuse together. Start creating with confidence! Patsy Croft Kilns The best jewelry kiln on the market. 55F: Interior 5″ x 5′ x 5″, 66F: Interior 6" x 6" x 6", 88F: Interior 8" x 8" x 8", 99F: Interior 9" x 9" x 9"